you deserve all credit for his success. One rainy autumn morning in 1995, as Michael Kozlowski was driving with his friend to job in Haifa, Israel, Kozlowski saw some kid jogging in the distance. Michael then said to his friend: “Listen, you see this kid running in the morning in such nasty weather? His coach is very lucky to have him. I am very jealous of this kid’s coach.” After a couple of minutes they caught up to this kid…it turns out this kid was first Michael Kozlowski’s student, that came to his first workout a couple months ago in the outdoor court of Basmat School in Haifa (because at this time, boxing gyms did not exist in Haifa)…His name was Yuri Foreman. Outdoor court of Basmat School, where boxing trainer Michael "Coach Mike" Kozlowski made his champions in Israel. Yuri Foreman is sitting in the middle. After a few workouts, Michael Kozlowski noticed that Yuri was different from his other students. He had a tremendous desire to work hard. 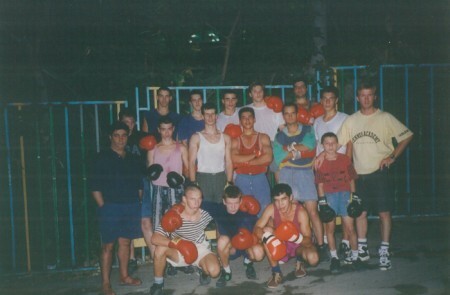 A couple of months later, Yuri made his boxing debut at the Israeli National Junior Olympic Championships. He won two fights. In the semi-finals, scared of his physically intimidating Arab opponent, Foreman lost by decision. Yuri Foreman (right of boxing trainer Michael "Coach Mike" Kozlowski ) is bronze medalist at the Israeli National Junior Olympic Championships. A few fights later, boxing trainer Michael Kozlowski realized that God blessed Yuri Foreman with the desire to work hard and the ability to learn boxing trainer Kozlowski’s technique and footwork quickly. But the same God also cursed him with the lack of psychological strength to overcome his fears in the ring. But this was nothing new to former Russian boxing trainer. Michael Kozlowski’s former student, Sergey Grigoryev, at 17 years old was considered to be a coward by many experienced Russian coaches. They told Kozlowski, that his pupil was too much a coward to become champion. 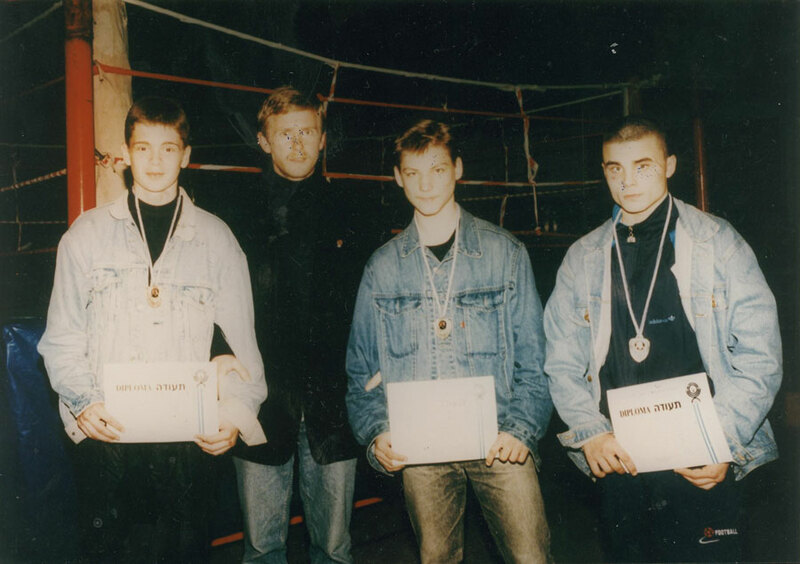 Despite this, Michael Kozlowski helped to Sergey Grigoriev overcome his fear and made him into the 1991 Russian National Champion! In autumn 1998, Michael Kozlowski and Yuri Foreman, as represented national Israeli boxing team, went to the Under-19 World Championship in Buenos Aires, Argentina. Yuri Foreman and boxing trainer Michael "Coach Mike" Kozlowski at the Under-19 World Championship in Buenos Aires, Argentina. 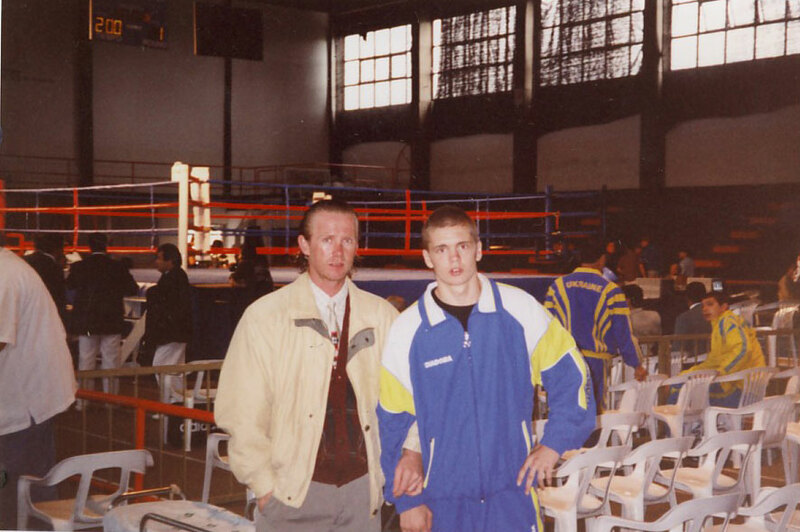 After the world championship in Argentina, boxing trainer Michael Kozlowski made the decision to continue his coaching career in the United States. At the end of 1998, Yuri Foreman became the Men’s Israeli National Champion, and Kozlowski’s family packs suitcases to America. Yuri Foreman (left of boxing trainer Michael "Coach Mike" Kozlowski ), Israeli National Champion, 1998. In the summer of 1999, Yuri Foreman came to New York City and became a member of Michael Kozlowski’s family, along with trainer’s 11 year-old daughter Diana and 4 year-old daughter Valerie. 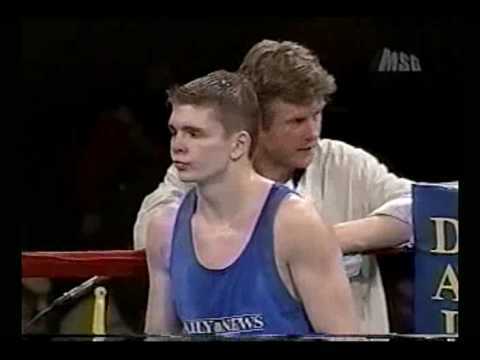 From the first day in Gleason’s Gym, Michael Kozlowski started to prepare Yuri Foreman for the 1999 World Amateur Championships in Houston…Every morning trainer and boxer traveled from Brooklyn to Manhattan by subway. Once they reached the Hudson River, Yuri exited the subway and ran to 42nd Street. Michael Kozlowski traveled by train with gym bags to his job, where he trained Foreman before he started working. After work, trainer and Yuri went to Gleason’s Gym for there afternoon workout. They continued this schedule for many months. Michael Kozlowski and Yury Foreman had no money to travel to Houston so trainer asked the boss of his company, M&A Linens, Michael Bernesteyn to help them out. With Michael Bernesteyn they sought to raise money from other companies. Some company owners gave to former Israeli trainer $10.00 and asked him for $5.00 dollars change. Finally Foreman’s trainer made it to Houston and in the World Championships Yuri had an unlucky draw. Yuri Foreman’s first fight was against Larry Mosley, who was the Goodwill Games Silver medalist and 2-time USA National Champion. Larry Mosley was also the cousin of the legendary “Sugar” Shane Mosley. It was a close fight and Yuri Foreman lost an 8-5 decision. An interesting detail: In a workout in 1999, as Michael Kozlowski was training Yuri Foreman, an American woman came to “Russian coach” and said that “I want to move and box like your student Yuri, because I want to be USA champion.” Her name was Jill Emery. Until 2004,with her boxing trainer Michael Kozlowski, Jill Emery won all amateur titles except the Woman’s Amateur World Championship. In 2008, Jill Emery was first student of boxing trainer Michael Kozlowski who became female professional World Champion! But this is another story. After the World Championship in Houston, Michael Kozlowski started to prepare Yuri Foreman for the New York Golden Gloves. They worked hard from morning to night. Foreman’s trainer saw his family only in the morning while his kids were still sleeping. And at night Michael Kozlowski saw them again, when trainer came back from the gym with Yuri Foreman, while there were asleep. On the weekends, Coach and his favorite student traveled to other parts in America to look for fights, so that Yuri Foreman could gain experience. Kozlowski’s wife started to converse with him, even in front of Yuri Foreman, about sending Yuri Foreman back to Israel. When trainer defended his student, she told him, “You will see, when Yuri becomes great in boxing, he will betray you!..” One day when she was exhausted from arguments with her husband, she told Foreman’s trainer: “Either him or your family!..” After Foreman’s trainer told her: “I never betray my kids and my students,” Yuri Foreman and Michael Kozlowski rented another apartment that was across the street from trainer’s family house. Foreman’s trainer wife then started to file papers for divorce. 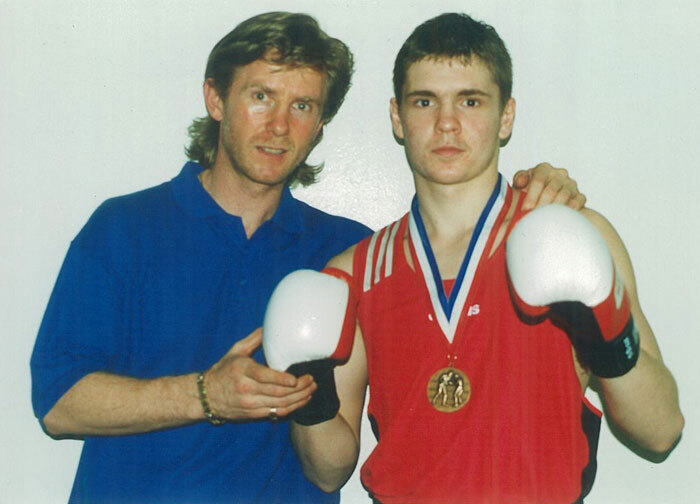 Boxing trainer Michael "Coach Mike" Kozlowski and his student Yuri Foreman, bronze medalist at the USA National Golden Gloves Championships. Yuri continued to grow up. Michael Kozlowski set him up with a nice girl (who turned out to be his future wife). Trainer then became less concerned his private life. Finally in 2001, Yuri won the New York Golden Gloves and, for the second time, became the bronze medalist at the National Golden Gloves. 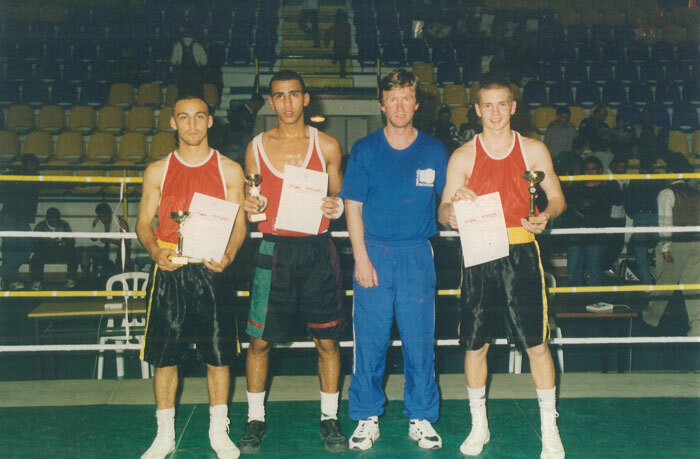 After the National Golden Gloves trainer and boxer decided to turn professional. Yoel Judah, the father of the then world champion, Zab Judah, who respected Michael Kozlowski a lot, connected “Russian trainer” with Shelly Finkel. Shelly Finkel didn’t want to sign Yuri Foreman, because he felt that Foreman fought too much like an amateur and was not impressive enough for a professional career. But out of respect of Yoel Judah, Shelly Finkel arrange for Yuri Foreman’s professional debut on the undercard of the fight between Zab Judah and Kostya Tszyu. Foreman were scheduled to fight after the main event but due to Zab Judah’s altercation with the judges, the fight was cancelled. In January 2002, Yuri Foreman made his professional debut and won by first round TKO. Yuri Foreman then started to work with the promoter Lou DiBella. Lou DiBella liked Yuri Foreman, but was not impressed with his style. He did not see a future for Yuri Foreman in professional boxing. But out of respect for Foreman’s trainer, DiBella agreed to arrange fights for Yuri Foreman without signing. Now Yuri Foreman were in the ring against the local favorite. After a few seconds in the first round, Yuri Foreman was knocked down. It was only through his footwork, that Yuri Foreman was able to survive the rest of the round. At the end of the third round, Yuri Foreman began to hurt his opponent with various combinations putting Armenta in real trouble on the canvas. The crowd of 3,000 was going wild during this tough fight. Yuri Foreman won a majority decision and was considered the fight of the night. In boxing trainer Michael Kozlowski’s opinion, it was the best fight of Yuri Foreman’s professional career. Left to right, boxing trainer Michael "Coach Mike" Kozlowski, Yuri Foreman, and promoter Lou DiBella after the fight against George Armenta. Michael Kozlowski started to become even more nervous, when one night at dinner, Yuri Foreman told him that he wanted to leave the apartment to live with his girlfriend. Yuri told his trainer, he would continue to help with the rent. However, when the time came for the rent to be paid, Foreman told his trainer that he had no money. 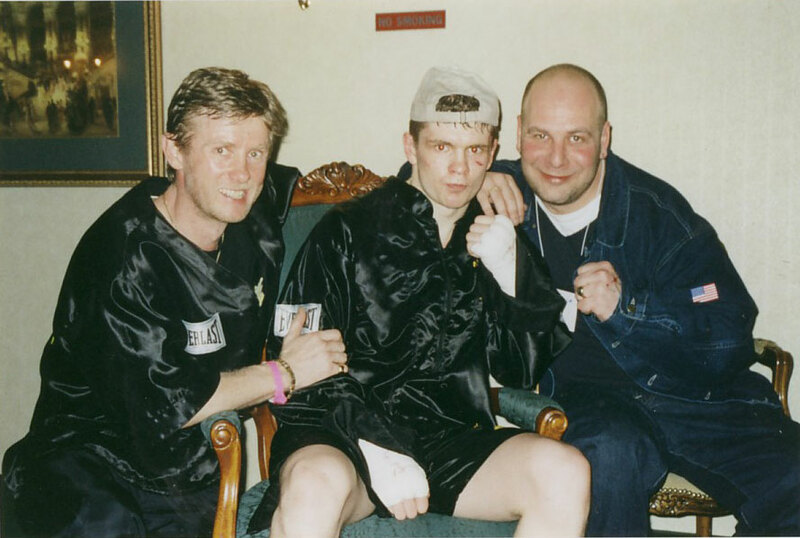 But Michael Kozlowski knew that in this time his boxer made more money from his fights than trainer’s one-month salary. Foreman’s trainer began to economize tremendously; the rent took a huge portion of Michael Kozlowski’s salary and he had to support his children. Fortunately, Michael Kozlowski’s friends helped him out a lot. Yuri Foreman began to change tremendously; he started to argue with his trainer during workouts. His girlfriend began to arrange meeting with lawyers concerning his professional career behind Michael Kozlowski’s back. When Foreman’s trainer told her to keep her nose out of his and Yuri business, she told to Kozlowski: “Michael, you a great coach, but you don’t understand show business.” Michael Kozlowski later realized that Yuri Foreman chose to only listen to her. Throughout all of this, Yuri Foreman’s career continued to progress according to plan—he had at least one fight per month. 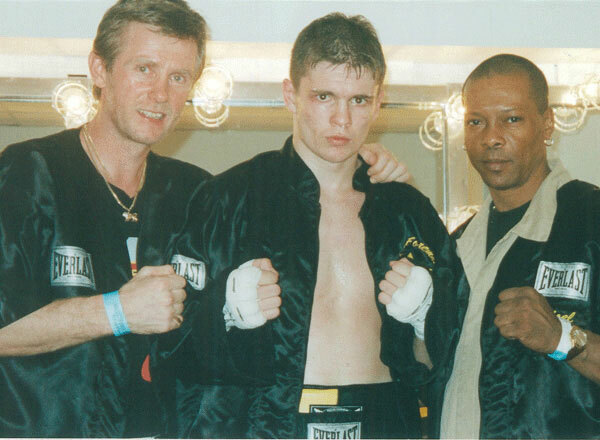 In August, 2002, Yuri Foreman made his first tough fight against the undefeated Jose Luis Almanzar. It was Yuri Foreman’s first live fight on ESPN 2. Yuri Foreman won a unanimous decision.